Have you experienced a burst pipe in your Costa Mesa home or office? Act quickly! Water damage from burst pipes can get very expensive the longer you wait. First, shut off your water. Then call West Coast Restoration Inc. The faster your response, the lower your chances of devastating water damage sustained. West Coast Restoration Inc has been restoring properties that have water damage due to ruptured pipes in Costa Mesa since 1990. Our crews take pride in speedy response times and will quickly contain the damage and restore your property. Burst Pipe in Costa Mesa, California? If a pipe has burst in your building, call the restoration experts at West Coast Restoration Inc today. We have been repairing burst pipes in Costa Mesa since 1990 and ready to assist you as well. When you call (714) 584-4894 for a free quote to fix your ruptured pipe damage, you'll receive prompt, professional service and a free written quote. The longer it takes to contain the leaking water, the greater the water damage. 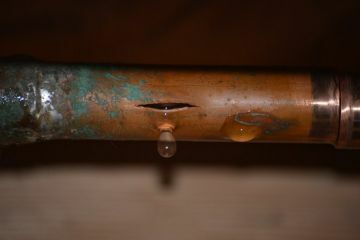 Call West Coast Restoration Inc ASAP to fix your burst pipes! Timing is critical! You need a restoration company that will arrive quickly address the problem. If you have experienced a pipe rupture, first turn off your water supply, then call (714) 584-4894 for a speedy response and sound solution. We’ll find the source of the broken pipe and determine the extent of the damage sustained. Next, any necessary repairs or replacements will be made. Then, we'll restore any water damaged areas to their original condition. When you call West Coast Restoration Inc you'll receive complete restoration service to fully recover your property. Aging, Corroded Pipes in Costa Mesa? Pipes can burst from freezing temperatures or clogging caused over time. Contaminants and mineral deposits cling to the insides of pipes, narrowing them obstructing the flow of water. When pipes become clogged, pressure increases until eventually the pipes leak or rupture, spewing water in your flooring, walls, and possessions. If you’ve experienced a burst pipe, first turn off your water. Then call West Coast Restoration Inc at (714) 584-4894 for fast action to fix the problem and restore your property. We’ll determine the source of the problem, and identify other pipes that may be compromised. Portions of the pipe will be replaced as needed. Last, any water damage sustained will be remedied.